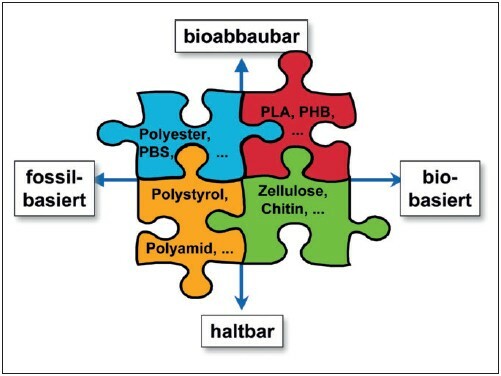 The term bioplastics or biopolymers, does not cover a single polymer group but a whole family of products. The DIN SPEC 1206 "Recommendation for the terminology and characterization of biopolymers and bioplastics" designates the term "biopolymer" as polymers derived from organic substances obtained from living organisms and their residues. In this sense, this biomass is considered as a renewable resource. A renewable resource is regenerated by natural processes at a rate comparable to its rate of degradation. The carbon content of such a polymer is derived from the so-called short-term carbon cycle (expected time frame: 1 to 10 years). With long-term carbon cycles, the expected time frame for conversion of biomass in oil, gas and coal is < 1.000.000 years. 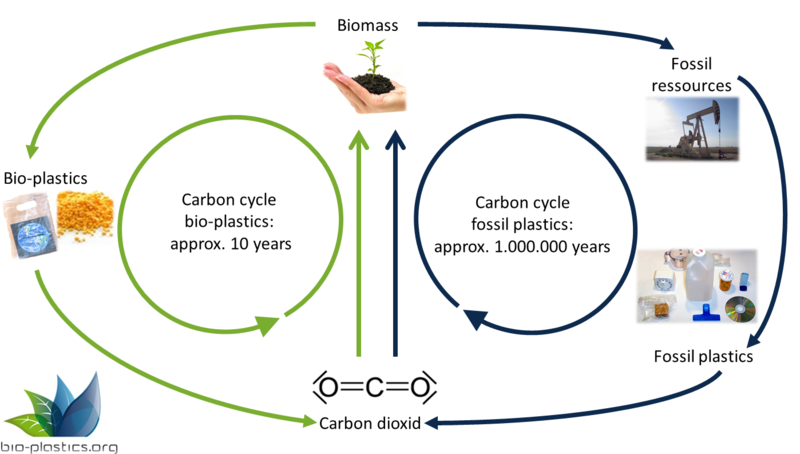 The following figure illustrates the time frame difference in carbon regeneration for conventional plastics and bioplastics. Specific definitions of terms are derived from these in turn, such as organic material, plastics and moulding compounds, polymers and polymerization and many more. The first two categories are used to define a bioplastics material, including as such both bio-based and biodegradable plastics. Accordingly, the compliance with both criteria is also possible, as shown in the figure below.